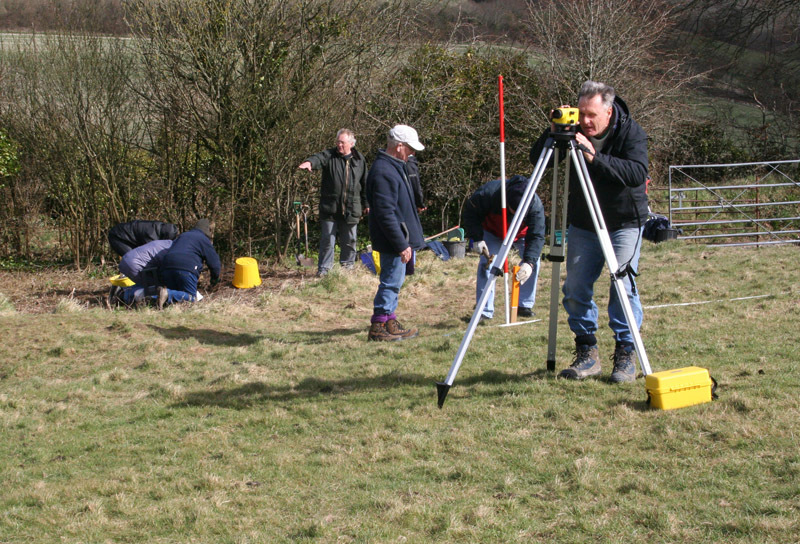 The newly formed archaeology group for West Dorset has adopted as a main aim the promotion of Dorset’s archaeological heritage to local people and visitors. Many members are resident in Maiden Newton, where the groups first site in located on the Drift Road, the old lane to Sydling. The group is excavating a structure about halfway up the lane which is made of stone, brick and tile. Is it a dwelling, industrial or agricultural? Does anyone have any ideas or information? Technical & Media Officer, archaeologist Chris Tripp stated: “The excavation will aim to bring back a lost part of the heritage of the village. We will also engage the community in this research. This is a good opportunity for our members and the community to learn how to excavate a site to the highest standards. Our next project is a much larger one and could last 2-3 years, so we are excited by the long term research this project will afford us”. Through research, survey and excavation their aim is to communicate their work through all media outlets and interact with local communities wherever they are working with educational exhibitions and talks. This is a campaigning group championing Dorset heritage and with community access at its heart. The group also has a commitment to attract more people to see Dorset’s heritage for the good of the counties economy. Many people visit the county because of the Word Heritage Coast, to access its unique and famous fossil bearing geology. However, Dorset has wonderful countryside dotted with many important and rare human-made monuments, including Neolithic stone circles and long barrows, Bronze Age burial mounds, Iron Age hillforts and Roman buildings and structures, including more modern monuments from the Second World War. Through their forthcoming website and existing Facebook and Blog pages they will publish their work in the county, including walks and talks on the wonderful monuments in our landscape. Through an increase in sustainable tourism more people will stay in the county, shop in our towns and villages and eat in our restaurants. In the present economic situation more people are taking holidays in Britain and Dorset has unique attractions in its countryside, coast and heritage. The Dorset Diggers hope to work with existing organisations to attract more people to the county as well as open up access to local heritage for locals.